Springs are the reason you are able to raise or lower your garage door smoothly. Garage doors weigh a lot and springs bear the brunt of their weight, which means that they eventually become prone to breakage. A broken spring can be very harmful and ignoring it may lead to serious implications. It is recommended to rely on experts who can assess your garage door springs and suggest whether you need to get them tightened, repaired or replaced. Springs must be selected keeping in mind the size of your door, its weight, and other important factors. Sometimes, technicians may fail to understand the dynamics properly and may end up fitting incorrect springs to lift your doors which may lead to serious complications down the line. 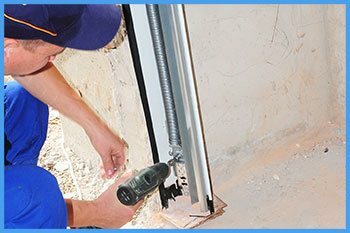 Eagle Garage Door Service technicians have been working for years and have technical expertise on various types of springs and know when to use which. 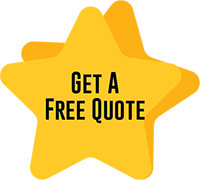 You will always make the right choice when you choose Eagle Garage Door Service experts as we provide quality repairs and garage door springs service and have been trusted by the Paterson, NJ community for over a decade. Based on the simple principle of expansion and contraction, extension springs have a heavy load-bearing capability. These springs remain in their default expanded position when the door is shut and contracts as soon as the door rises. It is inadvisable for inexperienced individuals to go near them since these springs are associated with extreme tension and a worn-out one may snap during operation, releasing all its trapped energy and causing grave damage to you, your assets, and the garage. Even though extension springs are a comparatively inexpensive option, they do demand routine maintenance checks to ensure smooth operation at all times. Eagle Garage Door Service is a one-stop shop for all your spring-related needs – right from repairs to replacements. The latest torsion springs are nothing but advanced counterparts of extension springs and are comparatively safer and dependable. The strength of torsion springs relies on its mechanism. The setup consists of one or two tightly wound springs over a steel shaft with a cable drum at each end. As you lift the door, the spring unwinds, transferring its trapped energy to the cables which raise the door. The cables are an important component of this system since they are able to hold up the garage door even when the spring is broken. Since they are safer and stronger, torsion springs are extensively used for all types of doors, ranging from simple single car residential doors with less than two springs to heavy-duty industrial doors with more than two springs. To choose the type, size, and number of the spring, you have to rely on experienced technicians and that is where Eagle Garage Door Service comes in. We install high-tension springs and recommend appropriate ones based on your needs.